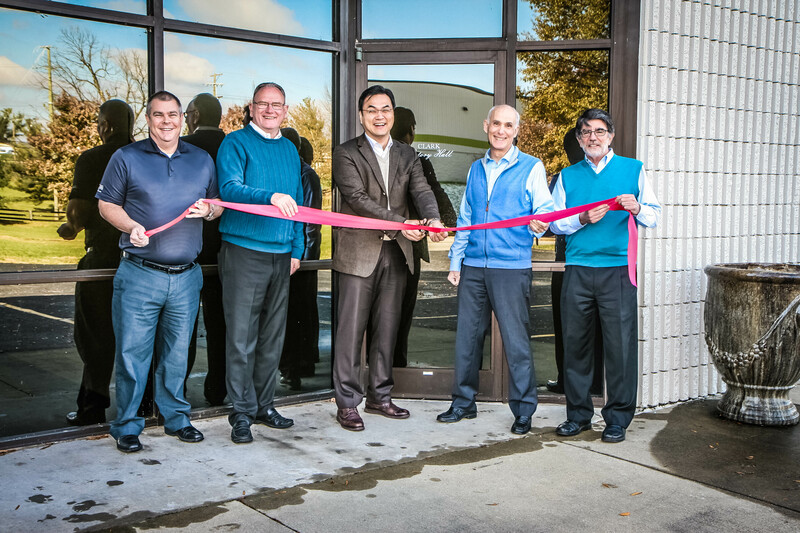 Lexington, KY – January 30, 2019 – CLARK Material Handling Inc., a top ten global supplier of material handling equipment, is excited to announce it has opened a history hall at their American Headquarters in Lexington, Kentucky. The CLARK History Hall highlights over 100 years of history of CLARK Material Handling Company and its contributions to the material handling industry. Dennis Lawrence, President and CEO of CLARK Material Handling, North America, oversaw the development of the CLARK history hall and shared his thoughts. "History and invention are the cornerstones of our company’s legacy. This history hall chronicles the essence our impact has had on the global forklift market. We have captured elements of the company's entire story, from historical documents to never before seen pictures. This facility is dedicated to the generations of people that transformed CLARK into the global company it is today. We are proud of our heritage and this hall celebrates all that we have accomplished. We look forward to sharing its contents with Dealers and customers during visits to Lexington." This museum features a number of significant artifacts dating back to the start of the material handling industry in 1917. A highlight of the history hall includes a replica of Eugene Clark's office including his original, personal company corporate seal. Also, on display is a timeline of CLARK innovations and contributions to the material handing industry as a whole. Exhibits include a Tructractor, literature from over the decades, photos and a wide variety of marketing collateral utilized by CLARK and Dealers to promote the company's goods and services. "The CLARK history hall is a valuable recognition of the company's storied past. A nod, if you will to the many innovations and contributions its people and products have made to the material handling industry," said Scott Johnson, Vice President of Sales and Marketing, CLARK Material Handling Company. "In this room is a timeline of not only CLARK but how products and goods are moved by the material handling industry today. The company’s overall impact on material handling including people, programs, technical innovations and product design is impressive." The museum will be updated frequently as new content is processed from the archives and Dealers' submissions. "We are continuously creating new history and receiving material from the outside, as such we will routinely be adding new content to this facility," continues Johnson. "This constant refreshment of displayed items will ensure that each time you visit the history hall you will see something new." For additional information on CLARK, its products or to locate a dealers, visit us at www.clarkmhc.com or call toll free (866)-252-5275.